2) It’s an amazing way to educate people, show them the vineyard, show the winemaking process, talk about the wine business, share your personal story in life and in wine, share events, etc. etc. etc. 3) You own your blog, you don’t own Facebook. Engaging with people on social media sites is fantastic and you should keep doing that but the social media sites will come and go…your blog and/or website will be there for as long as you are in business. The end goal is to get people back to your site and a blog is a good way to do that. 2) post quality content. That’s easy to say right? Yes, but it’s also easy to do. Regarding “post consistently for the long haul”: I would advise every winery to post at least one blog post per week, every week, all year round. Pick a day and have that be the day you post each week. At the most I would say post twice a week but I don’t think that is necessary. On this blog of ours, we post every Monday, Wednesday, and Friday. On our other blog, LittleBrowne.com, we post every Tuesday and Thursday. I also work with sipcertified.org and on their blog we only post once a week on Mondays. There are different reasons these decisions were made but they work toward our goals. 9) Promote your local area- other wineries, events in the city, county, local restaurants, etc. This is just a quick list but you see where I’m going with this. If I can put together 20 to 30 blog posts per month, I have faith that you can do 52 in a year. Most of these blog posts take little time to create and publish…so the issue of “time” really doesn’t fly with me. Have a few people at the winery be responsible for the blog or choose one person to run the show, either way, make the time. The point is this, I absolutely promise you it will benefit you to start a blog, maintain the blog, and do it for as long as blogs are available to us. It’s another tool in your wine marketing toolbox and a fantastic way to put the winery out there for people to see. So go ahead, what are you waiting for? You could not be more right Matt. I don’t understand why wineries let alone any business does not get this simple, free marketing tool. I have seen first hand the power of consistant blogging for a business and there is no better place to put your time=money. I hope some of the readers start to take this advice for their own sake. Sounds like a plan, Bev!! LOL…you’d probably be great at it!! I have your steps (above) on how to start, just copy your style. Oh how do I get my picture on here, can you tag one of my pictures and put it in for me? I will look into how to do that picture thing Bev!! 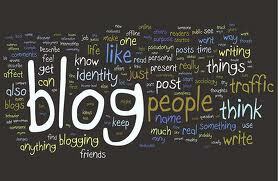 And I will be starting to post more tips on social media and blogging for wineries. I’ve been doing this for some time and consulting some wineries…it’s fun but wineries are notoriously slow at adopting new technology. Great post, I agree with all the points made and, I can say that out of the few winery blogs i follow, Tablas Creek does a consistently very good blog. Bruce, thank you and yes, I agree that Tablas has been doing a good job with their blog. Another local winery that has been doing a pretty consistent job is Halter Ranch. Very good advice and attitude! There are some great benefits of having a blog and the time and effort will deliver some great results to you. Marko, thank you. Yes, I see wineries have success when using a blog consistently so it’s mind boggling that more are not jumping in. How many wineries in Paso have blogs? How many wineries in Paso? Why the disparity? Mike, there are anywhere from 210 to 240ish wineries in Paso Robles and I would venture to say that less than 10 blog regularly and consistently. Not sure why this is. That’s why I’m starting to push Paso Robles to get online and start getting active. While I agree with you, that having a blog is great for a winery, I would not discount the time factor so much. Words don’t flow quickly for everyone, and it does take time to write quality blog posts and there are so many social media areas to cover. One thing worse than not having a blog is having one that is never updated; I run across these a lot. If the winery has an active facebook site, basic twitter presence, a pinterest presence, and basic website, I agree blog is the next step. John, I hear what you’re saying and I understand the time that goes into a blog. For a winery though, they could post a “photo of the week”, shoot quick videos, etc…no editing, no written words needed. The options are endless and many of those options truly do not take much time. In my mind, if you are not making the time to create a digital presence you will miss out on business. The digital presence is as important today as magazine ads, billboards, and a tv commercial use to be. On top of that, the blog (and social media) are cheaper than those other ways of spreading the word on your winery. We have some amazing tools at our fingertips that are not only leveling the playing field, but are resulting in real transactions. So yes, I understand where you’re coming from…but I thin a digital presence is mandatory.